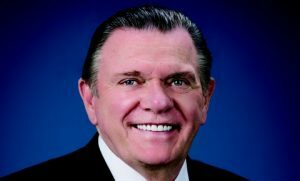 Retired Army Gen. Jack Keane serves as president at executive search consulting firm GSI LLC and as chairman for both the Institute for the Study of War and chairman of the Knollwood Foundation. He also is a director at MetLife and General Dynamics, a member of the George C. Marshall Foundation, the Center for Strategy and Budget Assessments, the Council on Foreign Relations, a trustee at Fordham University, and an adviser to the Welcome Back Veterans and American Corporate Partners foundations. Keane also works as a national security analyst for Fox News. The 37-year Army veteran retired from the branch in December 2003, culminating his career as the branch’s acting chief of staff and vice chief of staff. As the Army’s chief operating officer for four-and-a-half years, he directed more than 1 million soldiers and civilians in 120 countries and a $110 billion annual operating budget. Keane was in the Pentagon on Sept. 11, 2001 and provided oversight and support for the wars in Afghanistan and Iraq. The career infantry paratrooper served in Vietnam and also deployed to Somalia, Haiti, Bosnia and Kosovo with operational commands. He commanded the famed 101st Airborne Division-Air Assault and the 18th Airborne Corps. Since 2004, Keane has conducted frequent trips to Iraq for senior defense officials and visited the country during the surge period. He helped recommend the surge strategy in Iraq and is featured in books such as “The War Within” by Bob Woodward and “The Gamble” by Tom Ricks. Keane continues to advise senior government officials on national security and the war in Afghanistan and completed an assessment in Afghanistan for senior military commanders. He holds a bachelor’s degree in accounting from Fordham University, a master’s degree in philosophy from Western Kentucky University and is a graduate of both the Army War College and the Command and General Staff College.